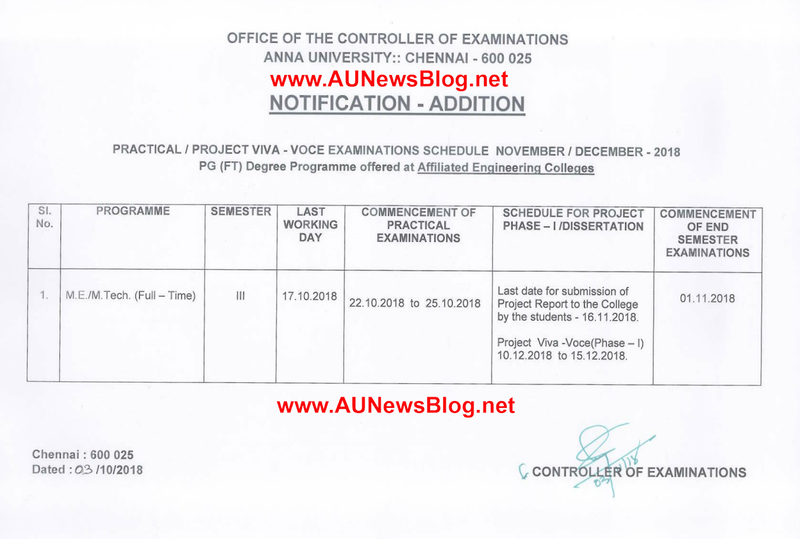 Anna University already published the first semester UG and PG exam schedule. AUNewsBlog already published it on our site. If you not checked then check it on this link. Today, Anna University published the 3rd Semester PG semester exam schedule for Nov Dec 2018 exams. Full schedule details published below. Check and share it with your friends.